Ok guys, this is the world’s easiest recipe, but I decided to share it with you, to keep you cool this summer. 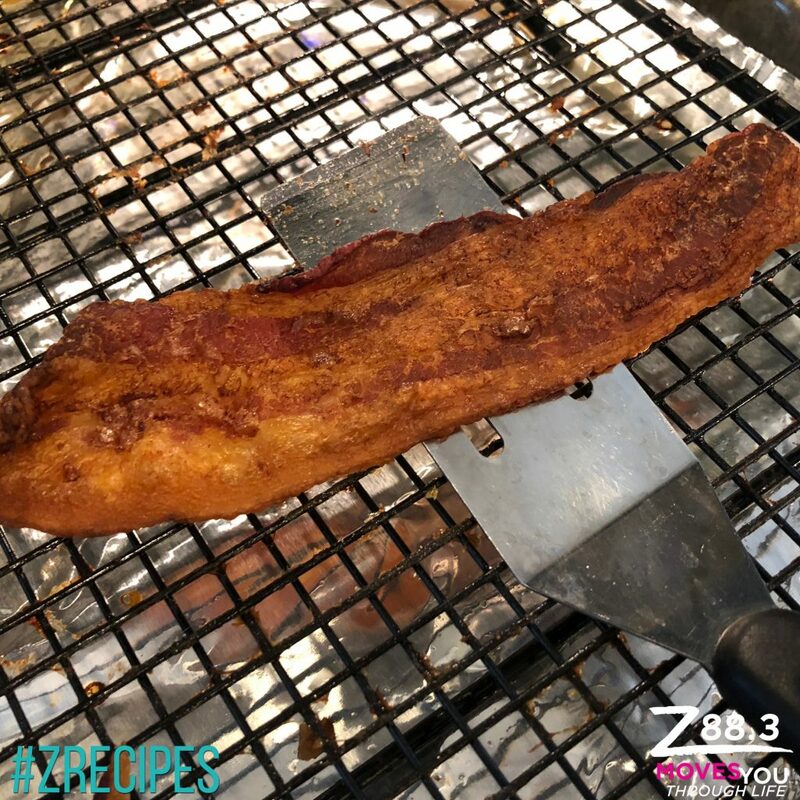 Everyone loves bacon, but no one wants to be standing over a hot frying pan when it’s 90 degrees here in Florida by 9 a.m. 😉 I also love baking my bacon, because it evenly cooks and is perfectly crisp! 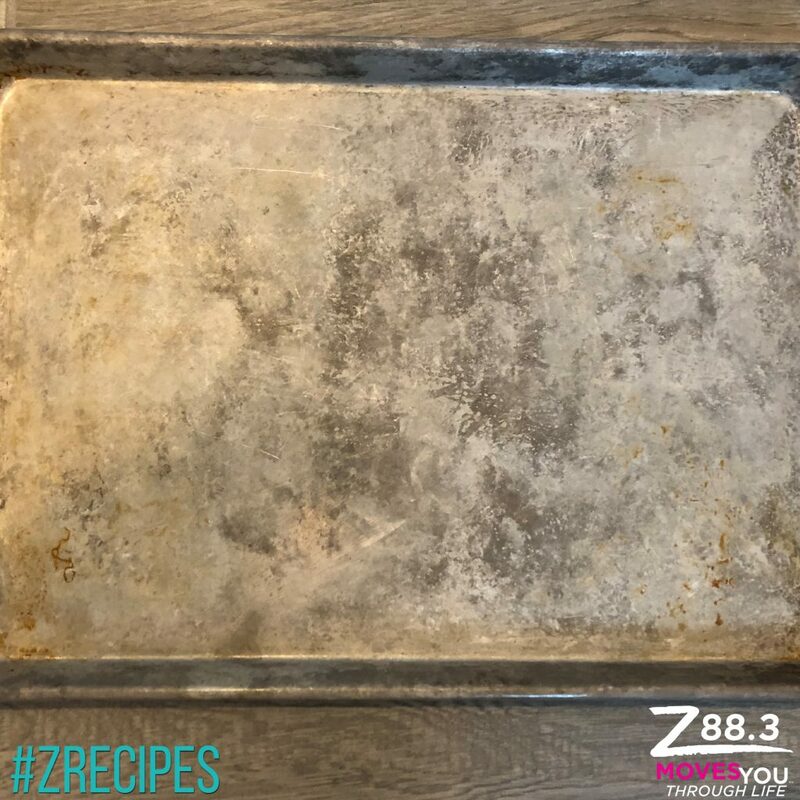 This one is one of those building recipes…use this to make your life easier, then we’ll use the recipe next week to add to our soup we are going to make! 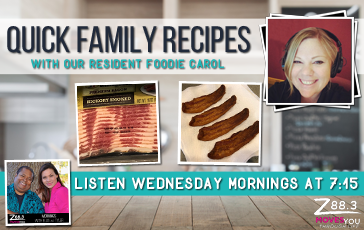 You can also make this one fun by making candied bacon…just brush the bacon with maple syrup and sprinkle brown sugar on top and bake. It’s definitely a fun, unexpected treat! 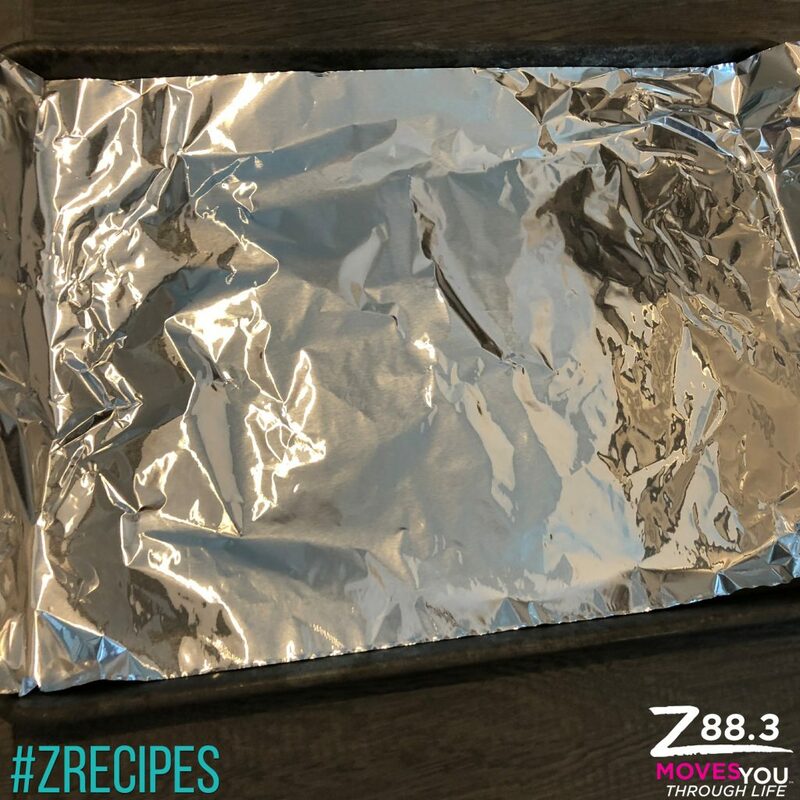 Grab a baking sheet (with sides, so the grease is contained when baking) and line with tinfoil. Wait until temperature reaches 400 and then place pan in the oven. Wait until the oven preheats before placing your bacon in the oven. 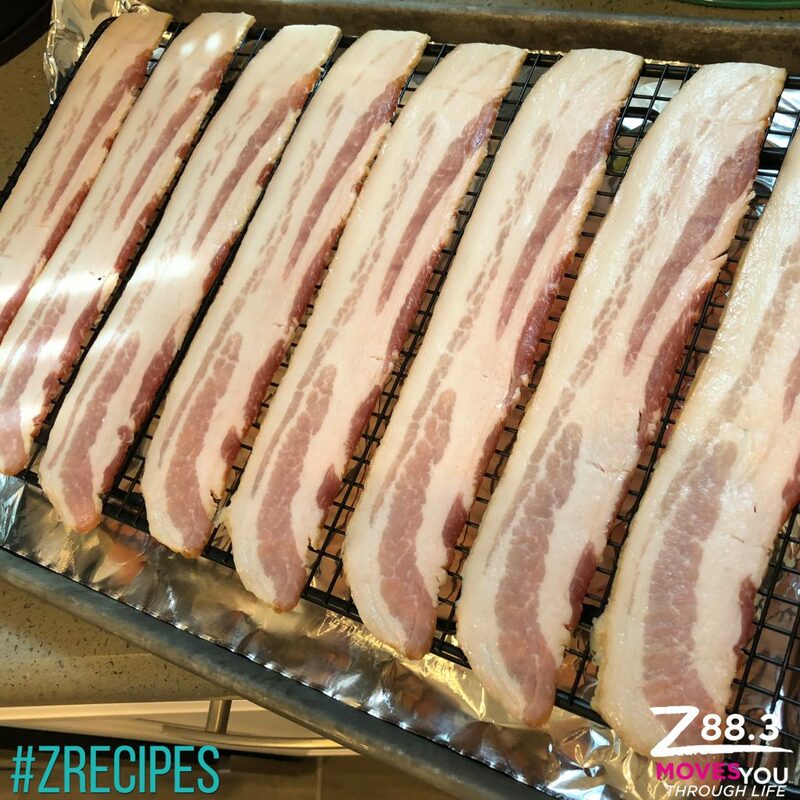 I have learned that if you place the pan in early, you get chewy bacon and we all like crispy, yummy bacon! 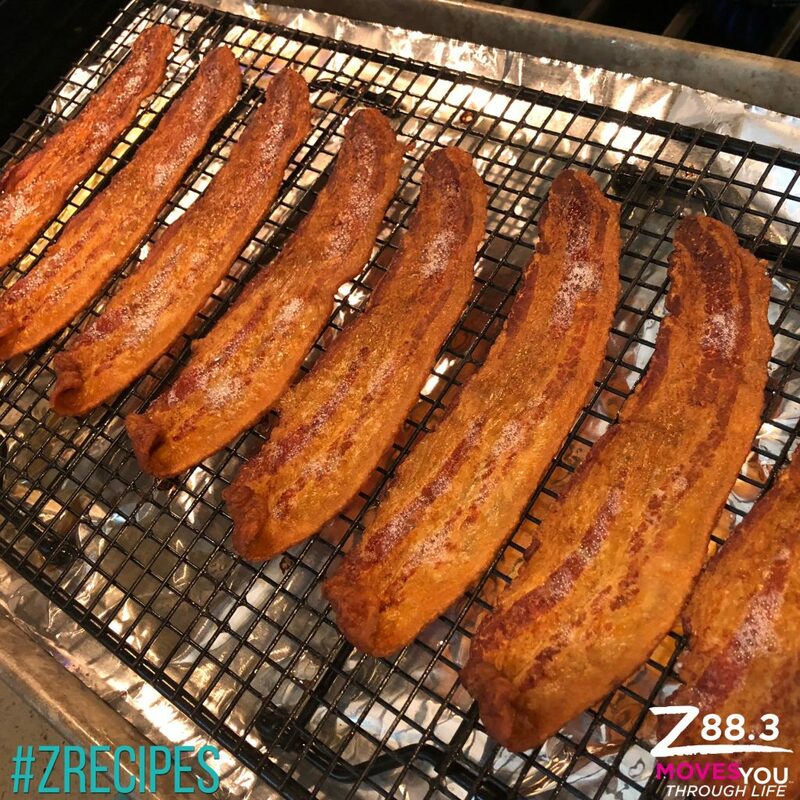 🙂 If you want to make candied bacon, this is the time to brush on your maple syrup and sprinkle on brown sugar. 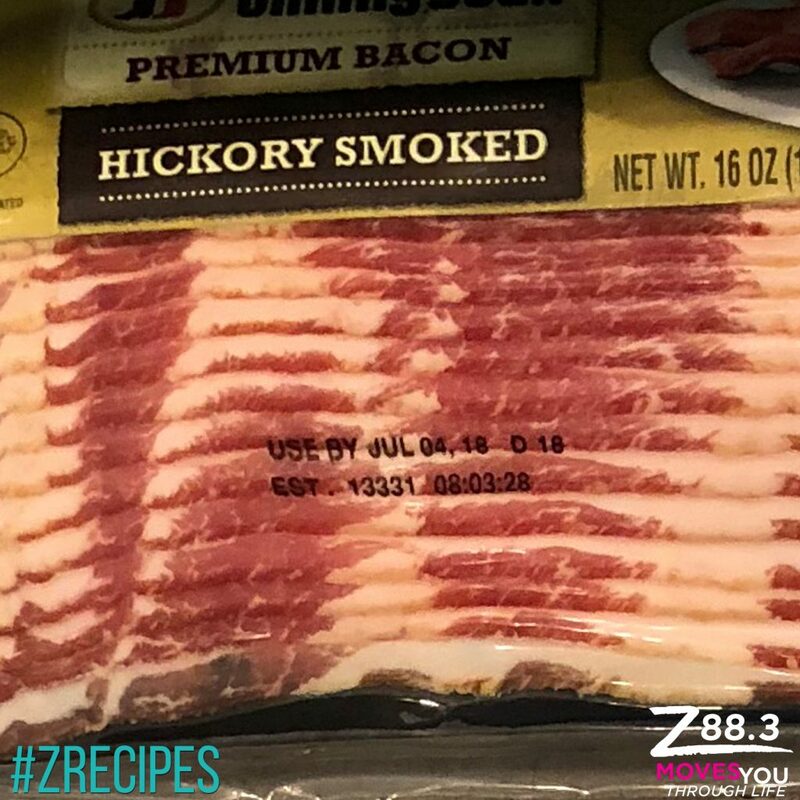 Bake for 15 minutes and then start checking to see how the bacon is doing. 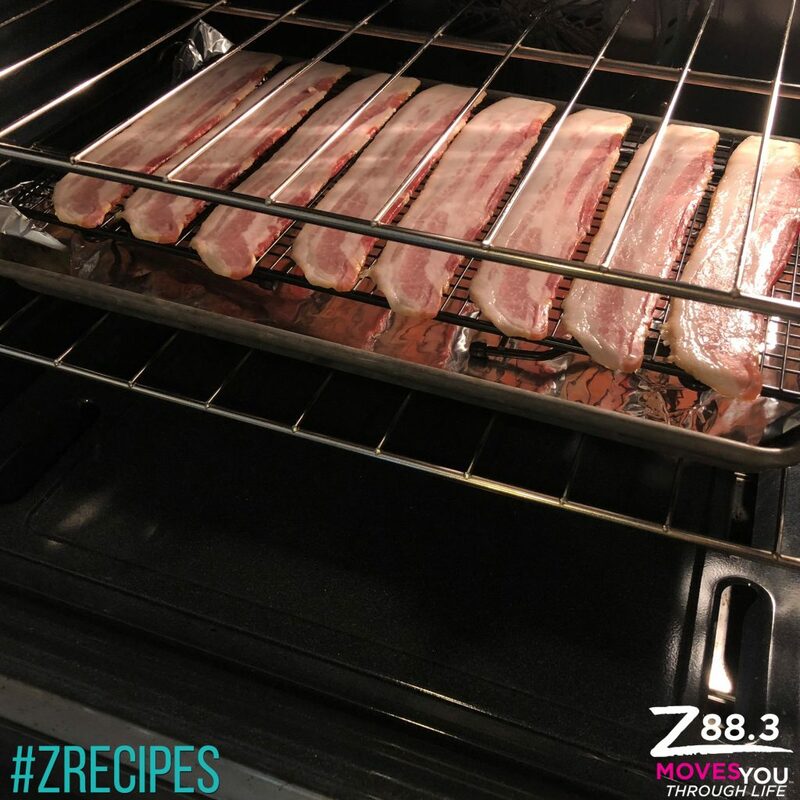 Usually takes my oven about 20-25 minutes to cook my bacon perfectly! 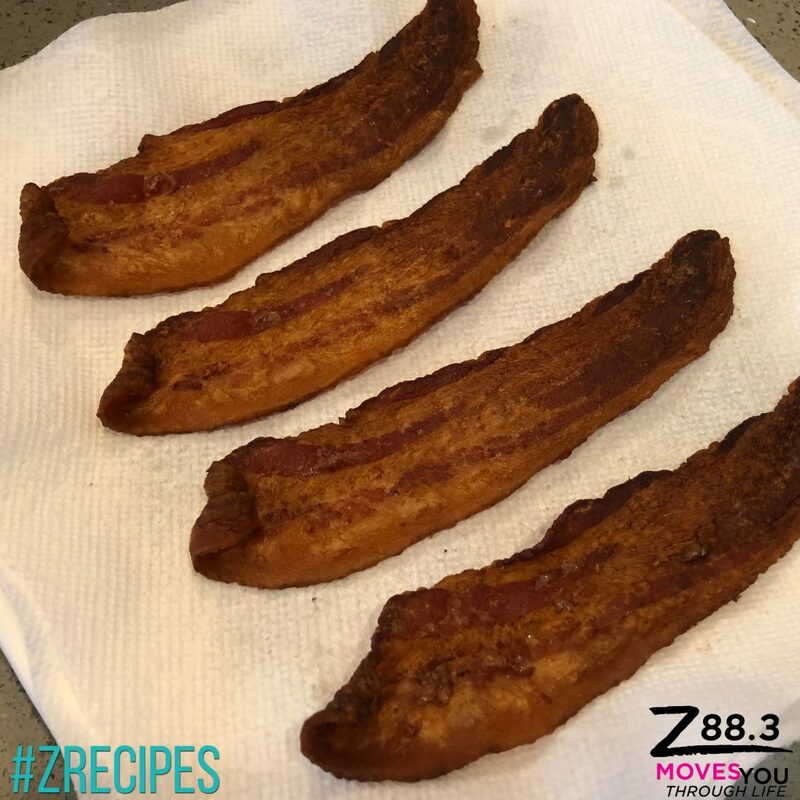 Take out of the oven and immediately move bacon to a plate with a paper towel. 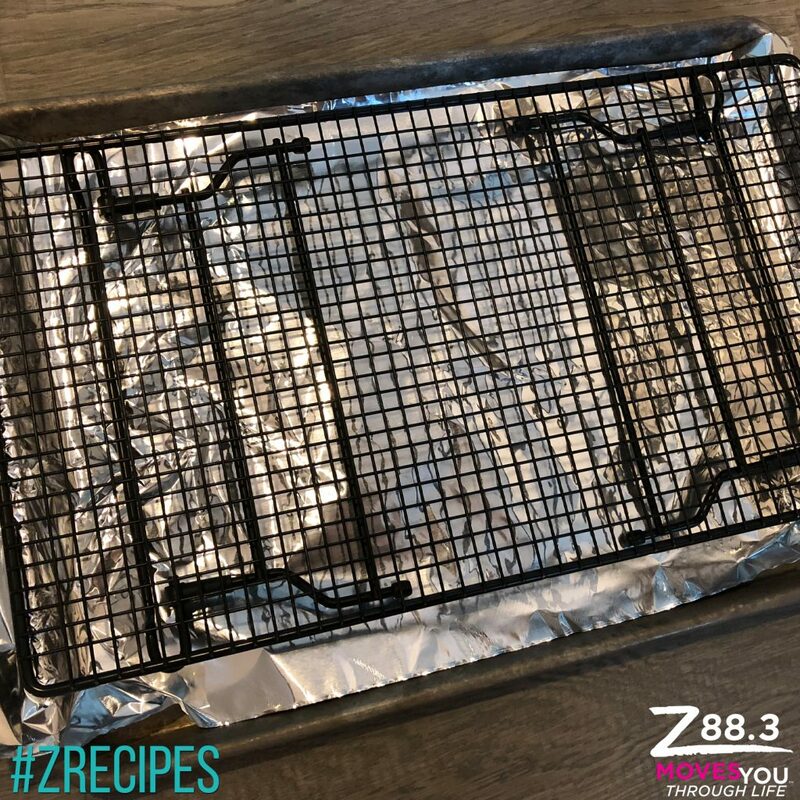 If you leave on the pan, it sticks to your cooling rack or foil as it starts to cool, and good luck doing anything with that! 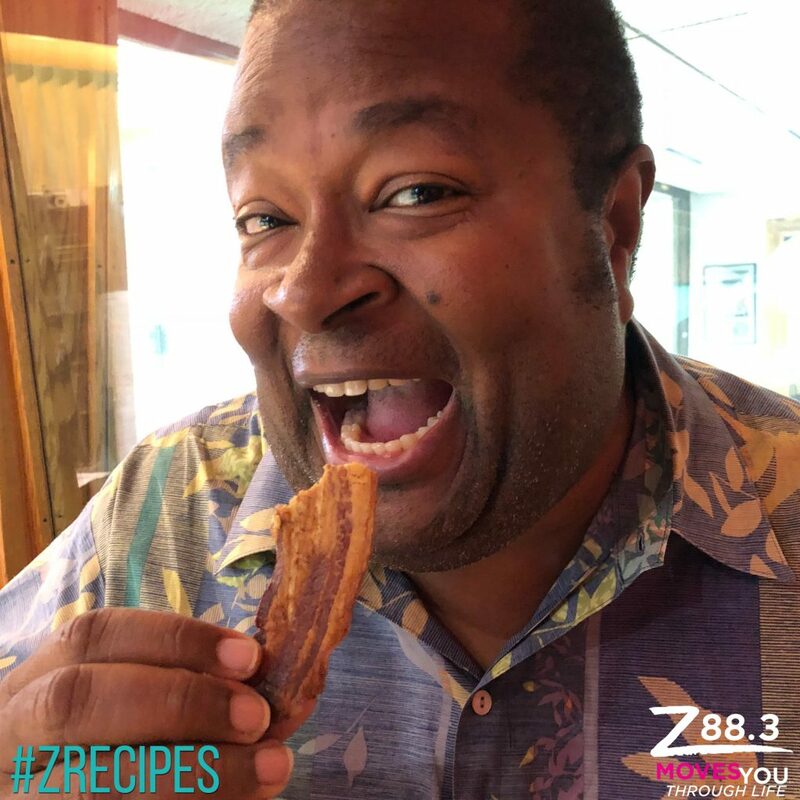 Ellis and Tyler would love to see how you use your bacon…well, especially Ellis, he is interested in seeing who tries the candied bacon option! 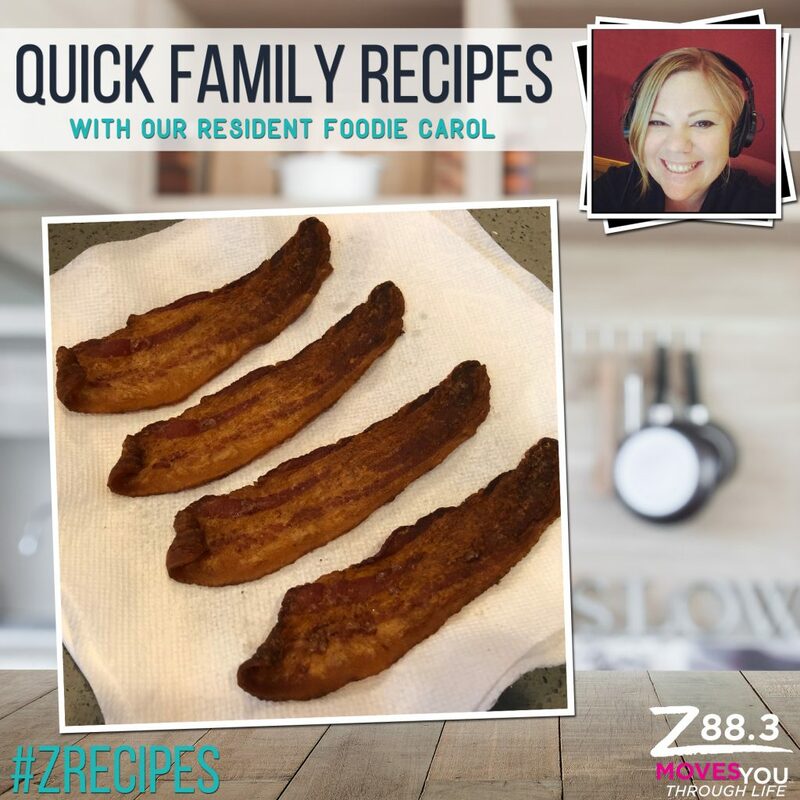 🙂 Share your pictures on the Z88.3 Mornings Facebook page.